The 1st tank is a 29 Gallon Aquarium. The 2nd Tank is a 45 Gallon Aquarium. Please cast a vote on which tank you think is better. Please include some feedback on possible suggestions for bettering these tanks, and questions are welcomed too. Also put what you liked or didn't like about the tanks. I love Golden shiners, so tank #1. 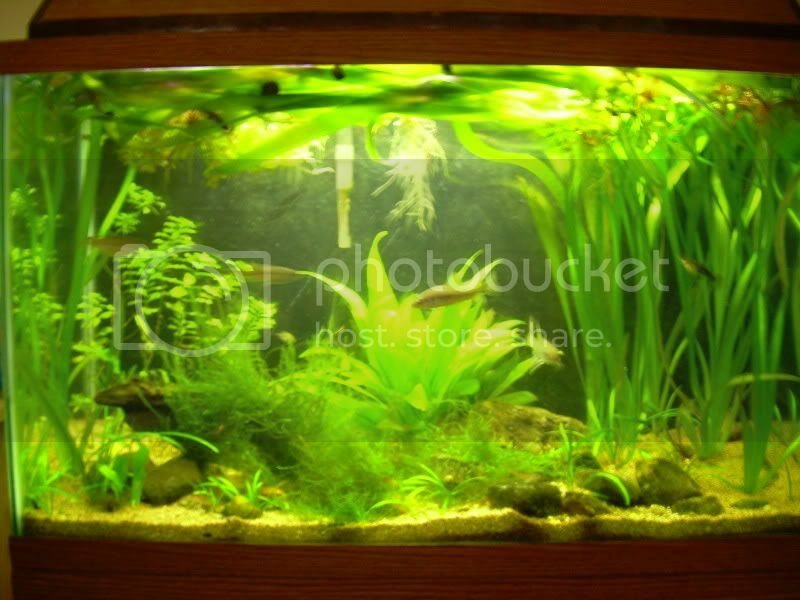 Plus I like all the vegetation in tank #1. I voted for one. I forsee possible aggression issues for tank 2, but I lover the species in it. Lately I seen to be a sucker for community tanks. What is your chubsucker eating? It is eating frozen brine shrimp and blood worms, brine shrimp pellets, fragments of spirulina flake food, and even some tubiflex dried worms. It nibbles on practically everything. The easiest, most peaceful, and sensibly sized sucker I've dealt with. When I read that, I was sold on Tank 2 before even scrolling down and looking at the pics. The pics only confirmed it. Awesome pickerel! I had to go with tank two, even though the plantings in tank one are great. Tank two reminded me so much of a tank I had years ago, it was a sentimental thing. Tank one hands down. I much prefer community type natives nowadays. The plants are fantastic! Besides, who cares what other people think? It looks like you each have a different style - one for plant style tanks, the other for carnivores style tanks. Very different approaches. You really can't compare the two. What matters is that each of you enjoys what you are doing, regardless of looks. I'll let you guess which one I'm drawn to, but that's not the point. I vote tank one. 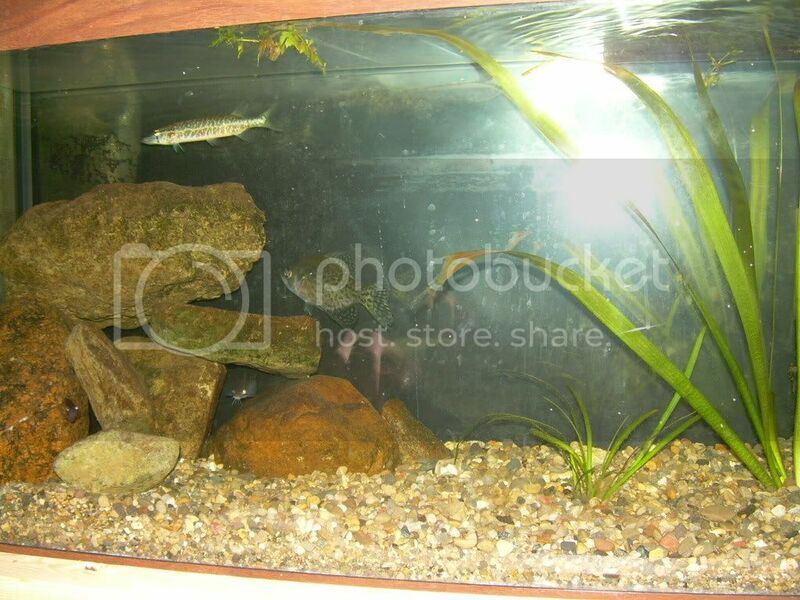 It looks better and has a better combination of fish for the size of the tank. Tank two is going to have severe overstocking and aggresion problems as the fish grow. A 42g is no place for those fish, let alone half of one. 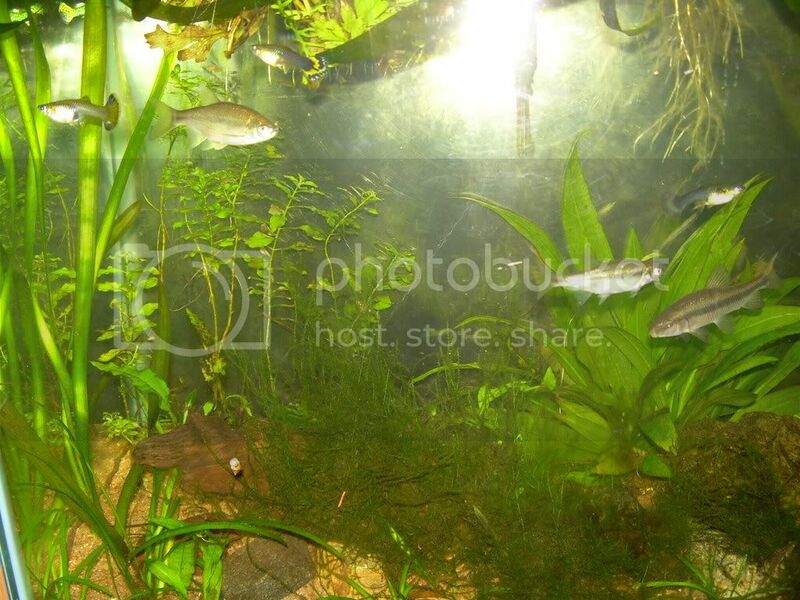 I also notice a catfish species of some sort in tank two, you did not mention that in the species list. oh yes, the 45 gallon tank also contains a small Channel Catfish. I'l stick up for tank # 2. The fish are small. Perhaps this was intened as a temporary setup, and that more tanks are in the works for when the fish grow a tad. Anyway, don't feel bad, tank-2-guy, with all the negative press. You'll get those fish situated properly when they need it, I'm sure. Thanks for so much input so far. Ha, this is adding fuel to both of our arguements for whose tank is better than whose. -- all in good fun though. I assume you will be closing the poll soon and telling us which tank is whose? I like tank one because it has a more unified, aesthetically pleasing layout. The divider in #2 disrupts the visual unity. I have sometimes thought about ways to house both predator and prey in the same tank. My latest iteration is an in-tank refugium - submerge a smaller tank inside of the larger tank such that the predators don't have access to it, but so that the prey fish or invertebrates can make a run out into the larger space if they want to live dangerously. 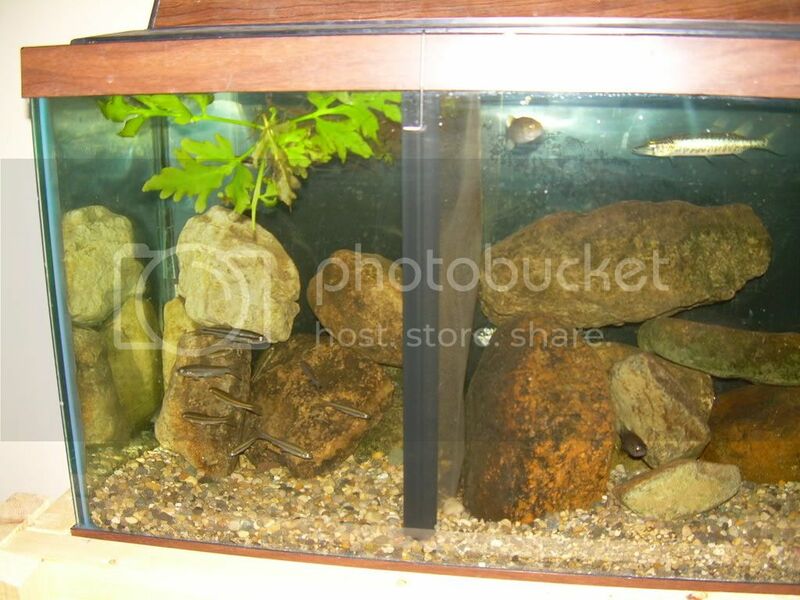 I'm thinking a small, high octagon set so its top is above the water level in the larger tank. And an air driven lift tube to move water into the smaller tank without the hazard of a pump impeller that would kill any fish passing though. The water would overflow from the small tank into the larger. Anyway, I do like the large plant in tank 2. But #1 is more visually apealing. It's always cool to see others' tanks and get ideas and inspiration. Thanks. ehh... someone might have to let me know how to close the poll...ha. I believe the fish in these pictures were caught using the 8' minnow seine from your store (Jonah's Aquarium). Thank you!